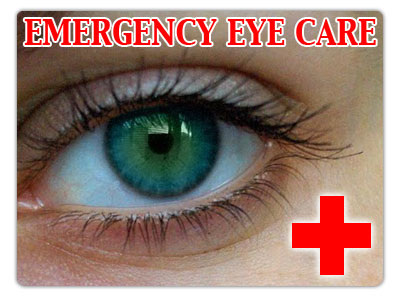 Did you know most Urgent Care/ERs do NOT have an eye doctor on-site to evaluate your eyes? Dr. Melamed is a Doctor of Optometry trained to diagnose and treat most urgent eye conditions including scratches, infections, loss of vision. If a referral to an eye surgeon is required, Dr. Melamed will coordinate the care with the appropriate surgeon. Please be aware that in addition to the office visit, an additional after hours charge of $250 will be assessed at time of service (a fraction of what emergency rooms will charge). If for whatever reason, Dr. Melamed cannot be reached please visit your nearest emergency room or eye clinic. If you are have had a recent serious eye injury or chemical spill in your eye, please contact 911 or get yourself to the nearest emergency room. Urgent calls include swollen eye, abrasions of the eye, red painful eye, sudden loss of vision, foreign body sensation in eye, and/or colored discharge from eyes.